In Brief: The Investment and Contract Readiness Fund (ICRF) is a three-year £10 million (US$ 15.2 million) fund launched in 2012 that provides grant support to social ventures for the purpose of better equipping them to secure new forms of investment and compete for public-service contracts. The Government of the United Kingdom has focused in recent years on developing its social sector, recognizing that a larger and more sustainable universe of social ventures, including charities, social enterprises, mutuals1 and community interest corporations (a specially-designated business with a social purpose), could drastically improve the UK’s poorest communities. This effort has led most notably to the creation of Big Society Capital, a £600 million (US$ 912 million) independent “wholesale” investor in social finance intermediaries intended to expand the supply of capital for social ventures (also profiled in this report). The Government also instituted a suite of programmes to strengthen social ventures directly. According to market participants, social ventures that could use this new capital lacked investment readiness.2 In fact, social entrepreneurs themselves stated that support for building internal business capability was a more pressing need than the provision of finance itself.3 Similarly, many social ventures lacked capacity to successfully bid for government contracts, a challenge to a related and parallel effort to open up the provision of public services to more competition from the social sector. 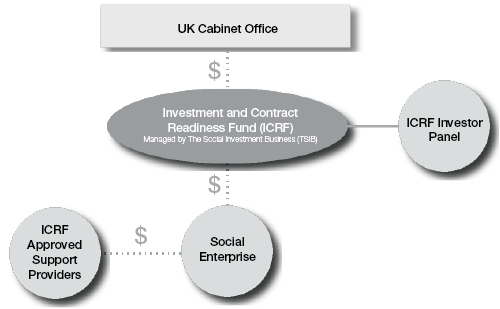 As a result, the Office for Civil Society, a unit within the UK Cabinet Office with the remit to work with and support the social sector, launched the Investment and Contract Readiness Fund in 2012 to ensure social ventures are better equipped to secure new forms of investment and compete for public service. The ICRF is actively managed by The Social Investment Business (TSIB) on behalf of the UK Government. TSIB is a specialist independent fund manager that was selected as administrator of the programme following a public tender process. As ICRF manager, TSIB is tasked with overseeing all aspects of the programme, including approving and marketing support providers, soliciting, assessing and administering grants, making payments and measuring success. A central feature of the ICRF is TSIB’s establishment of an investor panel to review and approve applications. This structure ensures that the fund supports social ventures believed to be the most viable, based on real investment criteria and perspectives. It also directly aligns the grant-making decisions of “today” with one of the policy’s core objectives for “tomorrow”, i.e. the raising of private capital within two years. The Cabinet Office has non-voting representation on the panel and only helps guide decisions where there are opportunities to align ICRF activities with wider government policy. TSIB is also expected to take advantage of the flexibility the Cabinet Office built into the programme. The most prominent example is an expected shift in 2013 to make some portion of the grants repayable, consistent with the desire to better align incentives. In effect, cash support for social ventures will partially be structured as zero-interest loans repayable on investment raised. Repayable awards will deliver greater market discipline to application budgets and will be accompanied by outcome performance awards for providers. While the UK Government has succeeded in implementing the ICRF at a time of austerity, the relatively modest payment to TSIB as administer of the programme – 3% of grant funds, or £300,000 (US$ 456,000) over three years – has impacted some components of the ICRF programme. With fewer resources to provide due diligence on applications before elevating them for a final decision to the investor panel, TSIB has relied on the volunteer efforts of panellists more than anticipated. The willingness of these experts to commit significant time to the ICRF is testament to the perceived importance of the fund as an anchor in the UK market and evidences the Government’s influence as a catalyst and convener. 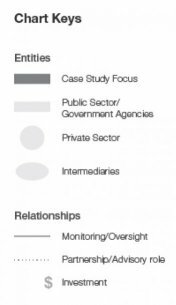 TSIB has also invested less heavily in pipeline development, relying on the crucial and established relationships between approved providers and social ventures for deal flow. When it has been able to invest – through meetings, briefings and feedback – TSIB has focused on enhancing the quality of applications, with positive results. And finally, there is limited capacity for documenting and disseminating lessons from the programme, and its detailed impacts. These insights are expected to be among the ICRF’s most valuable contributions to the field. The ICRF has been successful so far in its core objective of distributing funds to growing social enterprises for the explicit purpose of taking advantage of new opportunities in the market. Twenty-seven enterprises had received funds as of 31 January 2013, with a total of £2.6 million (US$ 3.95 million) in grants awarded, in line with the Government’s objective of distributing £4.5 million (US$ 6.8 million) in year one, that same amount again in year two, and £1 million (US$ 1.5 million) in year three. Approximately 65% of ventures have received support for investment readiness against 35% for contract readiness – a split that reflects the tendency for investment readiness to be more rigorously documented in applications and more easily assessed. Contract readiness, on the other hand, is subject to greater uncertainties in the public commissioning environment. The ultimate success of the programme will be determined by the demonstrated ability of enterprises to raise private capital and win government contracts. With the first grants distributed in late 2012, the ICRF does not expect to see results before late 2013 or 2014. The ICRF’s most important legacy may be to build intermediary infrastructure, with 28 providers currently approved to supply advice to enterprises and apply jointly for ICRF funding. These providers are the programme’s primary source of deal flow and grant applications. In addition, the ICRF’s funding provides a critical source of income. 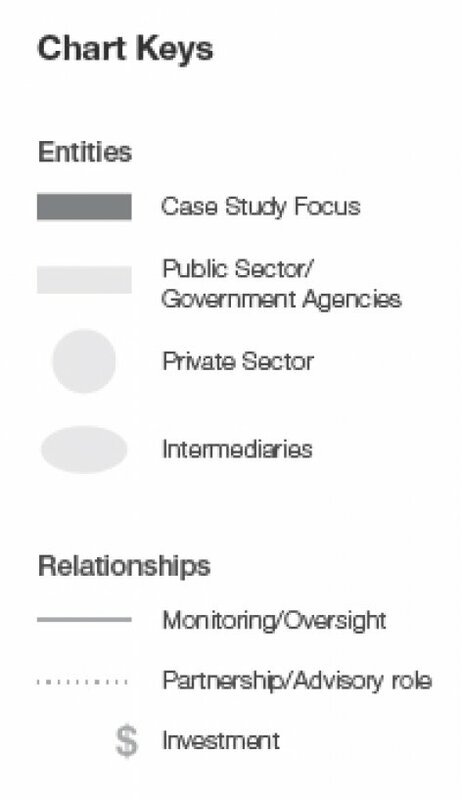 For example, one of the providers, Social Finance (see the “ICRF on the Ground” box in this section), expects to derive around 10% of its operating revenue from the ICRF in coming years. By convening the investor panel to allocate ICRF grants, TSIB facilitated a critical innovation. As investors, the panellists have a clear incentive to allocate grants only to the most promising of enterprises, by default ensuring that government funds are more efficiently deployed. Separately, the panellists have benefited significantly from exposure to the applications, gaining a unique insight into the pipeline of future investees in the UK social investment market, and from engagement with the expertise and perspectives of their peers. Although seemingly obvious, the availability of resources is worth mentioning; changing economic environments or political priorities, for example, could have practical implications. The modest resources available for managing the ICRF have required some creativity to ensure quality programme execution. Social Finance is one of ICRF’s approved support providers and, at the end of December 2012, had successfully secured funding for five out of six of its investment readiness applicants. One of these enterprises, Shared Lives, was announced in September 2012 as among the first eight recipients of funding from ICRF. Shared Lives is a national network of small, community-based care and support solutions for disabled adults. Shared Lives will use ICRF funding to assess the potential for social investment in the expansion of their program. Without support from ICRF, Shared Lives could secure alternative funding, but not as quickly or as early in the organization’s development, according to Social Finance. The first eight recipients of ICRF funding, totalling 1m (US$ 1.5 million), are expected to leverage a total 23m (US$35 million) in private investments and public contracts. 1 Defined by the Cabinet Office as “an organisation which has left the public sector (also known as ‘spinning out’) but continues to deliver public services. Mutuals are organisations in which employee control plays a significant role in their operation”. For more information, see: http://mutuals.cabinetoffice.gov.uk/what. 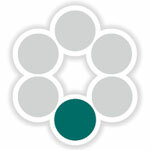 2 See the Cabinet Office’s February 2011 report, “Growing the Social Investment Market: A vision and strategy”. Available at: https://www.gov.uk/government/uploads/system/uploads/attachment_data/file/61185/404970_SocialInvestmentMarket_acc.pdf. 3 Office of the Third Sector, Social Investment Wholesale Bank: Summary of responses to the consultation, 2009.